In Early June, my family and I visited Japan. Somewhere in between Day 1 and Day 5, my camera was filled with images of nature. The indigenous hydrangeas were a pleasant surprise. The countryside was a vibrant green. However, my camera also included lots of trees. A few of the trees were Palms. That’s when I realized I was out of control. As a Florida resident, I see Palm trees all of the time. But these trees seemed special. They appeared different because they were thousands of miles and an ocean away from my home. They were distinct because I was on vacation. I wondered if I could re-vision my own Florida city as a tourist. By the time we returned home, I’d decided to try it. And I’m glad that I did. Being a tourist meant I stopped what I was doing. Got my camera. And snapped several photos. First I began to shoot flora and fauna, like I did when I was on vacay. 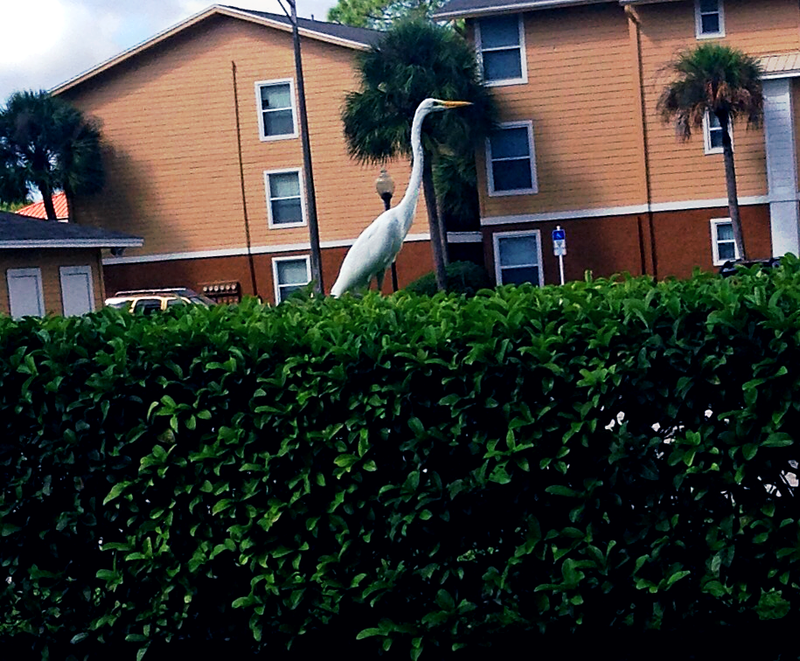 It wasn’t as exciting until I noticed Florida’s birds. As I documented them, I also learned the names. You see. I’m no ornithologist. Before this new perspective taking, I didn’t even know what to call half of the birds that lived around me. I couldn’t tell the difference between a duck and a goose. In fact, I saw a turkey one day and had to enlist Facebook’s opinion cause it looked so strange and out of place. One of my blogger buddies had to tell me the bird I saw nesting at Target was an Osprey. Okay. You get the point. I didn’t know birds. For example, this is a Great Egret. I captured a photo when I entered my apartment complex. Image. © 2015. K E Garland. All Rights Reserved. My tourist’s perspective helped me to pay more attention to the birds that I’d noticed around the pond right outside of my door. Instead of stopping Rascal from barking at and chasing the ducks geese on our morning walk, I’ve started to observe more. Depending on the time of day, you can see an Anhinga swimming under the water. Apparently, they search for fish that way. Every now and then, it stretches its long neck out for air and then dips back under. 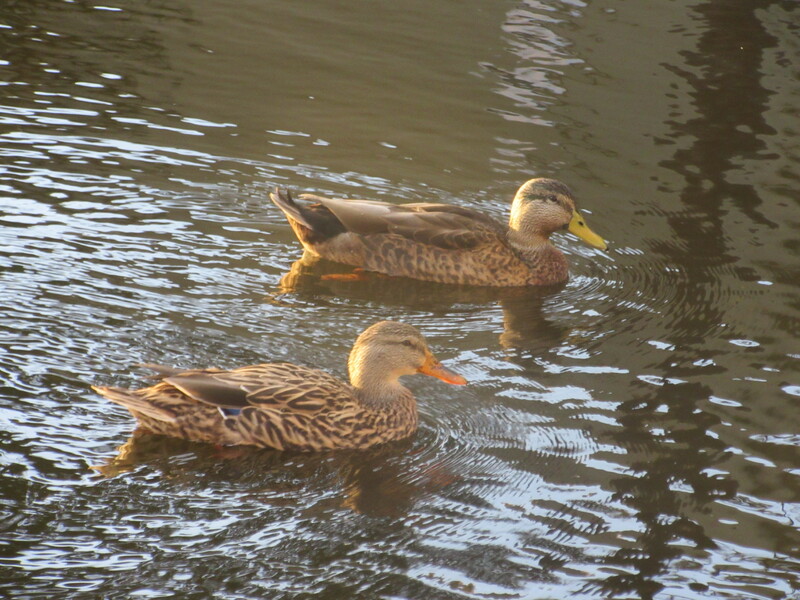 During the afternoon, Mottled ducks swim around and rest on the side. 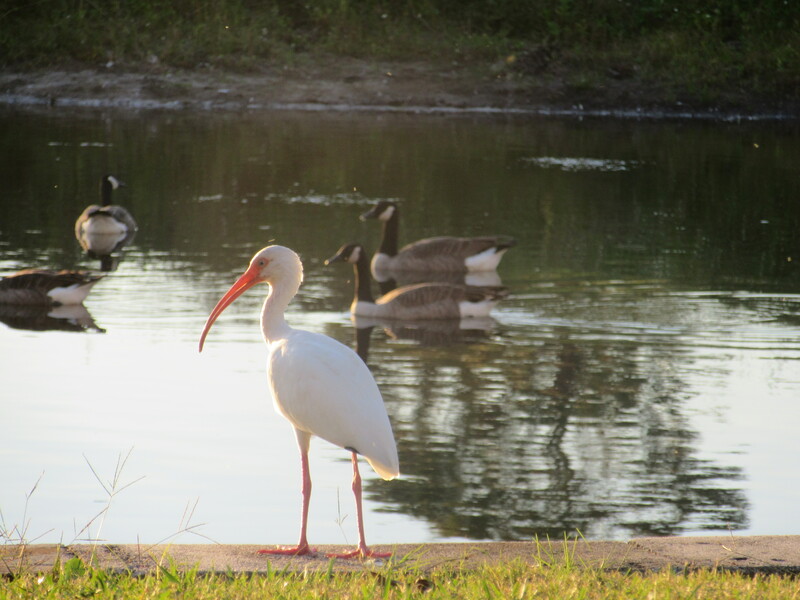 In the evening, white Ibis leave the pond’s edge to forage for food under a Magnolia tree. I don’t regret not recognizing these beautiful birds before now. But I am grateful that I could see life through a tourist’s eyes in order to gain a new sense of appreciation for them and my surroundings. What might you see if you viewed your city as a tourist? Definitely need to try this in Georgia! There are so many different kids of birds and trees. I should be learning these things! What part of Georgia? I lived in Houston County for two years. What what! I’ve lived in Henry, Rockdale and Dekalb counties. There’s a lot of wildlife that I didn’t grow up seeing. Actually I moved to the city I am in only a couple of years ago, so for a while I was actually viewing everything as a tourist! It was very fascinating, always something new. Now I have to remind myself to look at the city in that way because there are still a lot of new things to notice..
Much more fun to read Twain than Stevens, 13 ways of looking at a blackbird. I haven’t read 13 ways but I can only imagine the creativity in describing THIRTEEN ways of looking at a blackbird. Ah it’s a pity we don’t have such thing as bird watching in my country. I used to go bird watching with a local group who volunteered to keep the waterways clean in the area I lived in. I was the youngest by at least 30 years but it was fascinating learning from these life long twitchers. My favourites were the willy wagtail and seeing a family of tawny frogmouths (owls) was pretty cool. I was surprised by the variety of birds you see when you stop and pay attention. Look at you all bird savvy! I would’ve never thought that you participated in a bird watching group. And I agree. It’s crazy how we live among birds with little to no notice. Yeah, I’m a nerd haha. I had a really cool app too that you can put in features to identify a bird but switched from iphone to android so don’t always have it on me.